Creative writing activities offer more than paper and pencil stories. Rather, creative writing activities for children provide techniques for teaching your students through the ways they learn best. All of u s have had kids in our classes like Monica or Mark. Kids who struggle with writing and language skills and the whole process of crafting thoughts on paper. Kids who shut down in the presence of a writing prompt and a blank page and stop trying. Kids who have spent years learning tricks to hide their self-perceived weaknesses. Their self-esteem is low, and their feelings of incompetence prove a challenge for the best of teachers. Enter the work of Harvard researcher Howard Gardner. In 1983, he published Frames of Mind: The Theory of Multiple Intelligences. As teachers, we all know instinctively that kids who do not "take" to writing are still capable and bright. We know that kids have many gifts, many ways of being "smart", and these gifts together create a person who can succeed in school and life. Gardner's research opened the door to understanding how our students are "smart". By utilizing his theory, we can choose different ways of presenting information, activities, and lessons, so that our students might more fully and deeply understand what we're teaching them. Including how to tackle a writing prompt! Traditional intelligence tests, first developed around the turn of the twentieth century, emphasize verbal-linguistic and math-logic skills, defining intelligence within those parameters. School systems rely heavily on such IQ tests. Kids who are competent readers, writers, and mathematicians are much more successful in school and, later on, in their careers. The multiple intelligences theory does not downplay these two important areas. Rather, it provides hands-on strategies and techniques to help kids achieve in all facets of school life. These intelligences can be creatively nurtured and strengthened, having a monumental impact upon how kids should be taught for maximum achievement and learning. By designing lessons and activities that employ these different modalities, we as teachers can maximize our students' intellectual potential. Think of the possibilities! We can motivate, inspire, and personalize instruction! The following links lead to a collection of articles focused on using the multiple intelligences theory to design effective creative writing activities. I found that by tailoring creative writing activities to all of the ways that kids are "smart", I could personalize instruction, helping all of my students truly develop their natural writing ability. Multiple Intelligence Lesson Plans By encountering concepts in a variety of ways, kids are inspired to be strong, creative writers. Creative Journal Writing Journal Writing Ideas with a Multiple Intelligence Approach! The Parts of a Paragraph Creative activities for how to write paragraphs! 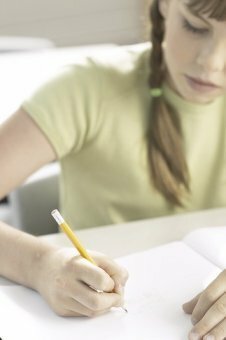 Writing in Math Class Math writing activities offer creative reinforcement of the mathematical concepts you teach everyday. Writing Step by Step Directions Writing step by step directions is an excellent first assignment in expository writing. Let these lesson plans for writing directions spark your own creative writing activities. How to Write an Autobiography Learning how to write an autobiography strengthens solid writing skills. When you instruct your students, "Write your own autobiography", they'll enjoy this multiple intelligence approach! How to Write a Memoir Help your students express very special times. How to Write a Biography Combine essays with interesting projects for interesting presentations! How to Write News Articles Get ready to unleash the next great investigative reporters! 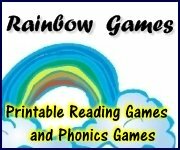 Learn to Write Letters Learn to write letters by corresponding with favorite fairy tale characters! It's easy to teach students to write a formal letter when addressed to a prince, princess, elf, or dragon! 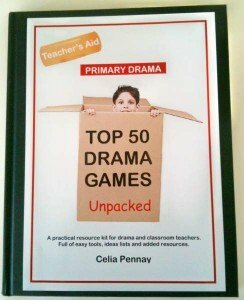 How to Write a Play Creative writing activities for the drama kings and queens! How to Write Comic Books Art and humor in the creative writing classroom! Teaching Children to Write Poetry Teaching children to write poetry is a natural tool for writing across the curriculum. I found it an easy way to introduce my students to a love of words through the next topic in the textbook! 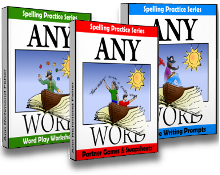 Fun Spelling Activities Whether you're reviewing spelling rules or teaching vocabulary, try these spelling games.